Stand back! Here comes Toyota company President Akio Toyoda, and is that a Samurai sword I see in his hand? In one swipe, the cardigan Camry is no more. Toyota has announced its intention to sharpen up the styling, toss out the brown cardigan image and go for it! 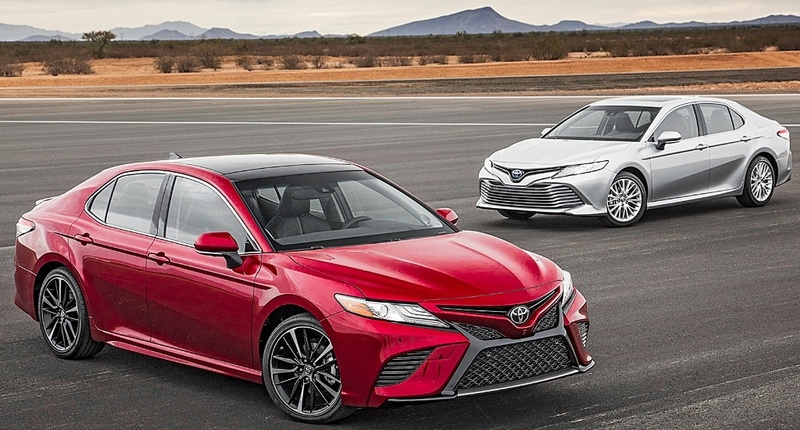 In Detroit this week, Mr. Toyoda himself took the wraps off the 2018 Camry range, a move which sends a signal to the market that the slumbering giant has roused from rest and has hired a new designer(s) to get serious. For Australians, the big news will be the death of the Toyota Aurion, the V6-powered, Camry-based sedan. It was a three-card-trick anyway. Toyota Australia wanted to compete against the GM Holden and Ford six cylinder sedans, so it cut the V6 engine out of the Camry range; launched a new nameplate and, voilá, we have a six cylinder Toyota sedan! 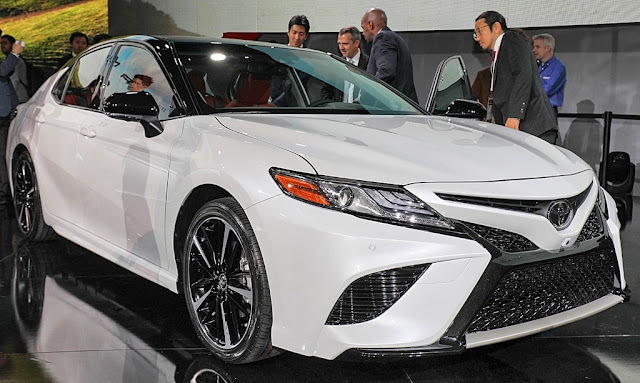 Now, there will be only one nameplate Down Under - Camry - with either 4 cylinder, V6 or Hybrid power. This all takes place at the end of 2017 as the last locally-built Toyotas disappear from the scene, along with the rest of the entire Australian car manufacturing business. 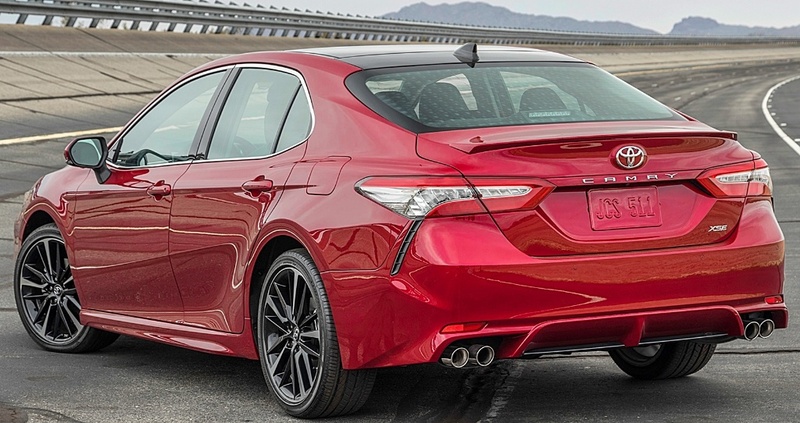 I have to say, the new Camry looks pretty sharp. The design was a joint effort drawing together the talents in Calfornia and Tokyo, but the result is smart, cohesive and a good move by Toyota.